Japan's Civil Aviation Bureau said last Friday (22 March) that preparations are not yet complete for any test flight of Boeing's grounded 787 Dreamliner. 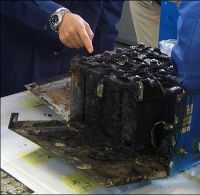 Takumi Electronics, a Japanese company, supplies the questionable batteries whilst ANA and Japan Air Lines are the lead operators. British Airways continues to expand at London City Airport (LCY) as it celebrates 10 years at the airport with a grand party later this week. 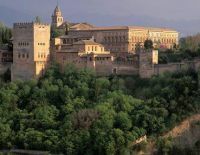 Granada is its latest destination and will be the only airline operating from the UK to one of the most historic parts of Spain. The year-round four days a week service will launch on 25 July just before the start of the busy summer season. They are operated by a two-class 98-seat Embraer 190 offering complimentary food and drink on board. 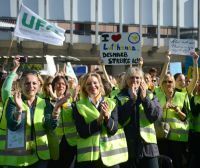 Prospective Lufthansa passengers should be careful in watching the airline’s web site as the carrier had to cancel almost 700 flights as workers went on strike early on Thursday (21 March). Only announced the day before, and ended as planned at 10:00 local time, the action proved to be extremely disruptive wiping out domestic and European flights by Lufthansa into the afternoon. Some 40% of the day’s flights were cancelled. 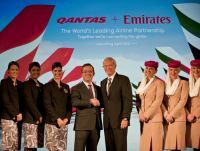 Usually one of the most flamboyant of carriers when it comes to making an important statement Qatar Airlines has chosen a soft opening for New Doha International Airport. Boeing and Ryanair chose the unlikely venue of New York to announce a 175 aircraft order at the same time that bitter rival easyJet was introducing the Gatwick – Moscow route with that airline’s CEO Carolyn McCall saying that no decision had been made regarding new technology planes. The rush to secure delivery positions for new aircraft continues unabated (see also Lion Air and Ryanair). Turkish Airlines, a Star Alliance member, announced last week an order for 117 Airbus aircraft made up of 25 A321, four A320neo, 53 A321neo and options for 35 additional A321. Today (Monday 21 March) sees the transfer of all flights to a new terminal at Queen Alia International Airport, Amman. The building itself was officially opened by His Majesty King Abdullah II on 14 March. As predicted by Business Travel News the Department for Transport (DfT) published last Friday (22 March) its Aviation Policy Framework in conjunction with Hartley McMaster “a management consultancy specialising in the use of analytical and structured methods to solve business problems”. It was a very low key announcement issued as a Commons written statement (and not even distributed by the DfT press office to this publication). 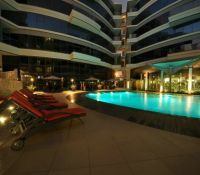 Rotana, which claims to be the leading hotel management company in the Middle East and Africa, has opened its first property in Bahrain, Majestic Arjaan by Rotana. 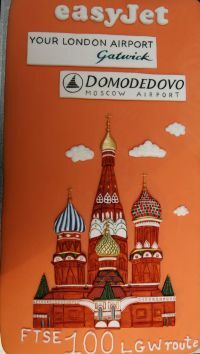 Last Monday (18 March) Gatwick Airport celebrated the introduction of its first ever Moscow services, twice daily easyJet flights. Fire engines sprayed the aircraft. At the other end it was just not possible. Too cold. The importance of the route was emphasised by the attendance of Minister of State for Transport Simon Burns MP for the send off. He had this to say: "I welcome the launch of these new services between London Gatwick and Moscow. This is a brand new route for easyJet and for Gatwick, and I am certain it will help to deliver tremendous benefits to business and leisure passengers. It also demonstrates the ongoing capability of London's airport network to attract new, direct services with the world's largest markets. 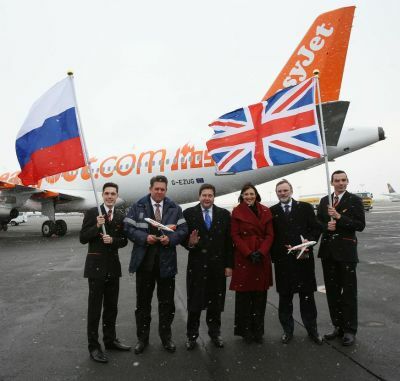 We also look forward to easyJet starting their services to Moscow from Manchester later this month". 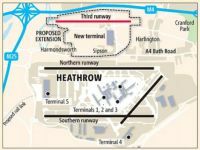 Europe’s most important aviation hub needs to be maintained at Heathrow. That is the message put over by what is currently the world’s largest and most important international airport in a statement last week referring to its Davies Commission submission. July 2013 is not that far away. 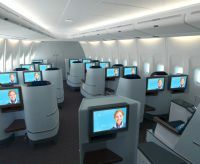 KLM Royal Dutch Airlines has targeted that timescale for the introduction of a totally new World Business Class cabin. KLM’s Boeing 747-400 fleet, consisting of 22 aircraft, will be remodelled first. Work on the airline’s 15 Boeing 777-200s will follow. There were a number of major talking points at the very successful Telegraph Cruise Show, held once again at London’s Olympia last weekend (23-24 March). For the public the highlights were easy. The promotion of the imminent arrival of two major new cruise ships, more or less competing head on, NCL Breakaway and Royal Princess, large, but not the biggest ships available and both with plenty of innovations and novelties. 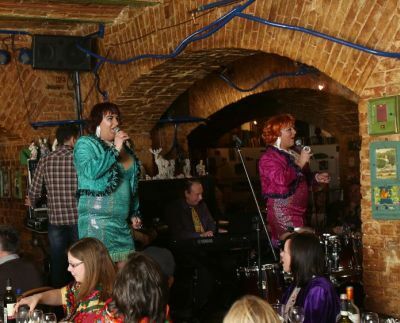 Pearl & Dean, easyJet staff members, entertain at Petrovich jazz cellar Moscow. Husky voices too! Air Passenger Duty (APD) was not mentioned by Chancellor George Osborne in his actual budget speech last week and therefore received minimal coverage by the media. This is a technique known as “burying”, which also covers the publication of the Aviation Bill (see below). 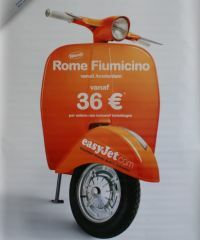 easyJet continues to make the headlines but this time in Italy where the airline today (25 March) introduces a monopoly breaking route by offering up to five return flights daily between Milan’s central Linate Airport and Rome Fiumicino. Flight time is just 1hr 10mins on what is the country’s busiest trunk route. April will see the reopening of the 1854 Great Northern Hotel, London’s first railway hotel, following a comprehensive £40m renovation programme. Occupying a revitalised prime position between King’s Cross Station and St Pancras International, it is the busiest rail transport hub in Europe. Indonesian low-cost carrier Lion Air is to become a major new Airbus customer. It has placed a firm order with Airbus for 234 A320 Family aircraft, comprising 109 A320neo, 65 A321neo and 60 A320. Don’t be surprised if a member of the cabin staff accosts you with an iPad on one of Malaysia Airlines’ twice daily A380 services from Heathrow to Kuala Lumpur. 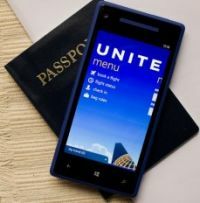 United Airlines has introduced a new application for Windows Phone 8 users that puts their important travel information at their fingertips. With the app, United customers can book reservations – including reward travel – check-in for flights, access mobile boarding passes, monitor flight status details and view their MileagePlus frequent flyer accounts. 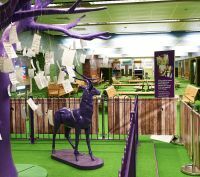 Following the success of Heathrow’s park-themed terminal for the London 2012 Olympics, the airport has recreated the traditional British park set within Terminal 1. Presumably it will last until the building is finally closed this time next year. Next Sunday (31 March) the Qantas A380 QF1 service will come into Heathrow T3 from Singapore as usual, turn around and depart as the QF2, but to Dubai, bringing to an end the long standing British Airways – Qantas arrangement on what is affectionately known as “The Kangaroo Route”.